If the time to say what you truly thought deep down has already passed, do you move on, or remain in the past while living in the present filled with regrets? Jackie has always loved his childhood friend, Joyce but she is getting married to someone else. While trying to continue on with his life, he always ends up thinking about her. 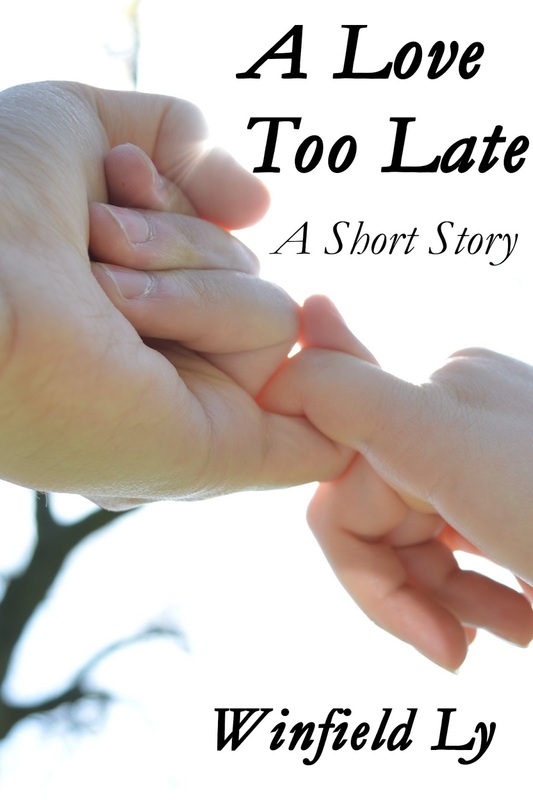 A Love Too Late explores a snippet of the two childhood friends. When I was writing this short story, like all of my other work-in-progresses be it both short stories or novels, it is based on my own experiences with fictional ideas. This story is a reflection of three particular moments in recent years. Two of them are pretty obvious in the story, but the third memory may not be so obvious. I had based a real person that I look up to as one of the main characters. I really wanted to do something to show how much she has affected my own life, and I thought, "What about I try my best to portray her in my own words in a story?" I showed it to her, and she agreed there is some resemblance but it's very ideal. In the story, I found the most difficult part to write was the wedding scene with the dinner afterwards. I don't quite remember what it was like being at a wedding so I took influences from dramas and movies to help me through it. A particular Japanese drama that I was watching at a time help me, which was called Proposal Daisakusen. I really liked it and one scene was inspired because of that drama. Probably because of that, I really like the really short scene. Another reason why it was difficult to write for me because I had to come to terms with Jackie's confession. A part of myself is in Jackie, and in real life, I have yet to confess to that girl. I wasn't sure how to word his confession properly, but I decided to go from if I would have done it in real life (with minor changes to fit the story). Then it came to Joyce's response and how to get that wording to get that balance between friendship and love. It was either too subtle or less about friendship. In the very first draft, I didn't have that introduction scene with Joyce and Jackie but started immediately in the second scene of the story. A friend found it to be abrupt and wasn't sure on the importance of Joyce as a character. A funny fact that the cover photo isn't showing is that one of my hands was in the picture. The other hand was one of my good friends that volunteered to help on short notice. It was a bit odd to take the picture with one hand and for me, in such an odd angle. I quite like how it turned out though! What did you like about the story? What didn't you like? I hope you enjoy it, and comments are welcome. If you do decide to read it, please remember to leave a review on the Smashwords book page with your honest thoughts on it. Thank you very much.